Villa media van preparing to capture a game. Reclaiming their lost glory: Here are the six reasons why, SC Villa may be a force to reckon with come next season. “A downfall of a man doesn’t mean his end, we are back with a bang and very soon we are unveiling our new signings. They have already passed the medical test and I assure you that next season we are reclaiming our lost glory,” SC Villa Director of Football, Joseph Kanaaba was quoted saying when hosted at one of the prominent local radio stations, Sanyu FM. The Club president, Fred Muwema echoed the same sentiments recently at the burial of Mzee Edward Luyimbazi Mugalu, the long serving club Secretary. Muwema assured Sc Villa supporters that come what may, SC Villa will recapture the Super League trophy next season 2011/2012. Their ambition and concern for reclaiming past glory is not misplaced. 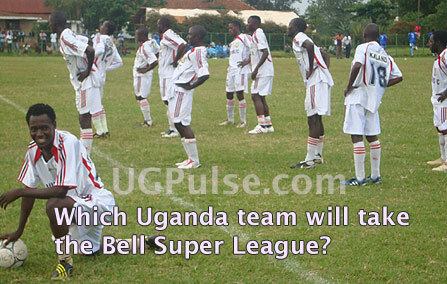 Sc Villa, the Ugandan 16 record champions last won a league trophy, seven years ago. Many interpreted the utterances of the two club bosses as a hypothetical wish, others perceived it as a dream beyond reach while some argued that, Muwema and Kanaaba are just extra excited at new prospects as we prepare to begin another football season in the Uganda Super League. However, UGPulse’s Kasozi Ramathan writes that, going by the restructuring exodus at Villa Park, anyone who disputes the duo’s words does it at his or her peril. Here are the six reasons why, SC Villa may be a force to reckon with come next season. Ever since the renowned city lawyer took over the administrative mantle of the Nsambya based side, a lot has changed both structural and infrastructural wise at Villa Park. Prior to his taking over of office, the once mighty SC Villa had become a laughing stock to an extent that the team at one point failed to raise a starting eleven against Police FC and KCC FC in the 2009/2010 Super League. This was as a result of a sit down strike by the playing staff over non-payment of their emoluments. Upon taking over of the office, Muwema started by opening the door for any players that wanted to depart. The likes of former Skippers Tony Ndoro and Simon Masaba, Midfielders Oscar Agaba, Feni Ali, Chrizestom Tambi and Cranes internationals David Odongokara and Godfrey Walusimbi were among the notable culprits on the endless list. 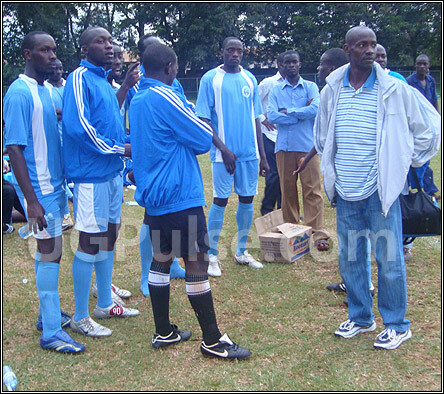 During his short spell in office, Muwema has established an executive club house in Muyenga, making the blues the only club in Uganda with a recognized office. He has established a club media centre and recruited a foreign tactician to take charge of the team, appointed a Director of football at the club, the first ever in Uganda’s history and payment of players’ salaries and allowances became a priority. Upon realizing that the club fanatics had lost faith in Sula Kato as the club head coach, Muwema and Company opted for a foreign tactician by names of Srdjan Zivojnov to take charge. His credentials are a plus to nay team. The Serbian arrived at Villa Park when the jogoos were languishing at the bottom of league table with a relegation axe wielding. 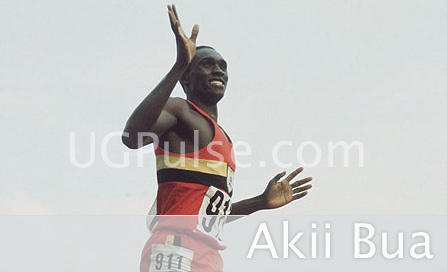 Within a short time, ‘Zivo’ as he is popularly known re-instituted faith, pride, discipline and team spirit among his boys ;which drove the team to finish in 6th position. Zivo lost only two games against URA FC and Masaka Local Council. On arrival, he clearly underlined that his first season was just to get him acclimatized but promised to regain the lost glory of SC Villa, this coming season. For the last seven years, SC Villa has been unnoticeable on the transfer market, opting to rely on its strong junior side Joogo Young. However, this time round the club seem to have broken the bank and are the busiest in the ongoing transfer window. The club has already gained the signatures of Under 23 internationals, Patrick Ssenfuka and Goalie Benjamin Ochan from newly promoted super league side Water FC and Victors FC respectively. The jogoos have also beefed up the striking line with acquisition of Muhumuza Fred from Victors and marksman Wasswa Herman from Masaka Local Council. 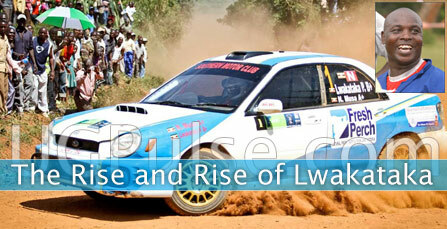 Wasswa was a revelation talent of last season. Former prodigal sons, Dan Wagaluka, Stephen Bengo and Tony Ndoro, URA’S Captain Manko Kaweesa and Moses Ndawula of archrivals Express FC are all said to be on their way to Villa Park. The Ex- Cranes midfield dynamo, ranked among the best coaches in nurturing row talents in Uganda is back at Villa Park to head the scouting department and the club’s nursery section. Nkata has been away from Villa for two years taking similar assignments at Misindye FC and Express FC. He is the brain behind the successful Villa junior side Joogo Young that have mushroomed the talents of the likes of Stephen Bengo and Godfrey Walusimbi. The others include Jeremiah Ssebuyira, Oscar Agaba, Chrizestom Ntambi, Mike Azira, Isaac Muleme, ‘Baba’ Kizito apparently in Vietnam and the current Villa captain Isaac Kirabira. The list is endless and his return is a big asset to Villa for this and coming seasons. There is a school of thought that the money that SC Villa is splashing in the transfer market is among the dividends of the strong ties with the United Arab Emirates. Early this year, Muwema on behalf of Villa, signed a Memorandum of Understanding with Al Waasl FC one of the giant clubs in Arab Emirates owned by tycoon sheik Bin Rashid al-Makhatoum and Coached by football legend Diego Maradona. In this deal, Villa is supposed to gain from the exchange of players, establishment of a strong academy, construction of a home ground and a friendly match between the two Clubs. According to the Club Director of Football Joseph Kanaaba, the friendly encounter is scheduled for December, 2011. Ever since the new administration headed by Muwema took over office and the arrival of Zivo as the coach, Villa fans returned to the stadium and have been the 12th player on the pitch whenever Villa playing. With the current massive recruitment, the fans are already talking big and can’t wait for the start of the season. They are known to be among the most passionate fans in Uganda and this possibly explains why at times they turn unruly when the club is performing below par. Flash back last season in the game against Victors at Kakindu and URA FC in which they almost strangled the tax collector’s Assistant Coach Ibrahim Kirya. There is an aphorism that action speaks more than words, however, it’s a matter of time to ascertain whether Muwema and Kanaaba will eat their words or not. They have done the necessary recruiting and morale boosting and we wait to see them in action over the 2011/2011 Super league season. Some of SC Villa players at Villa Park.